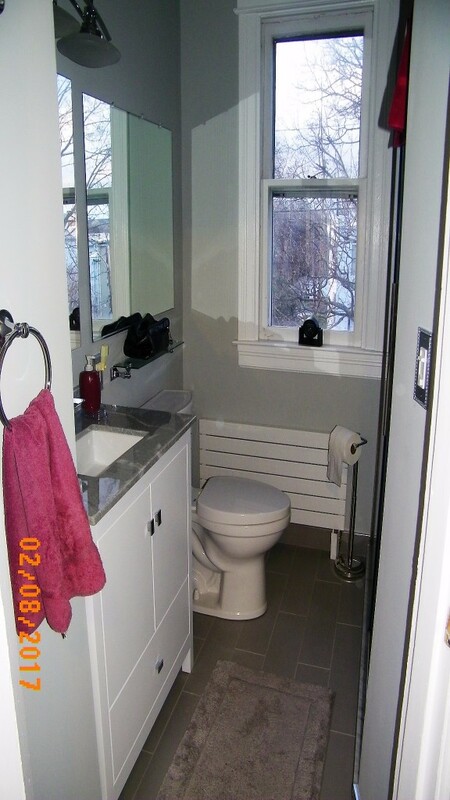 Based on superlative ratings in Checkbook, we hired Inex to remodel 2 very small bathrooms in our 90-year-old house. We definitely made the right decision because the company earned our complete trust through its high quality work and friendly staff. Our construction goals were: maximize the space, create high-end looking rooms, and not break the bank. Challenges included reconfiguring a room with strange angles, raising a low ceiling, and correcting a slanted floor. When you hire Inex, you purchase all product (e.g., tile, shower doors, faucets, vanities, radiators, etc.) from vendors, and you directly contract with the electricians or plumbers. You can purchase product from a vendor of your own choice and hire your own plumbers/electricians OR you can select from a list of vendors/contractors recommended by Inex (and the latter option gets you a discount). Inex will pick up large items purchased at stores in the DC area. Inex installs all of the product and coordinates the contractors’ work. One of the owners, Chuck McDonald, provided a detailed proposal which identified items/quantities we needed and which specified the work to be done by electricians or plumbers. Chuck and Project Manager Said had great design suggestions that brought a realistic approach to the project and saved us a lot of money. Said was on site each day, supervising the Inex workers (Alberto and Miguel). 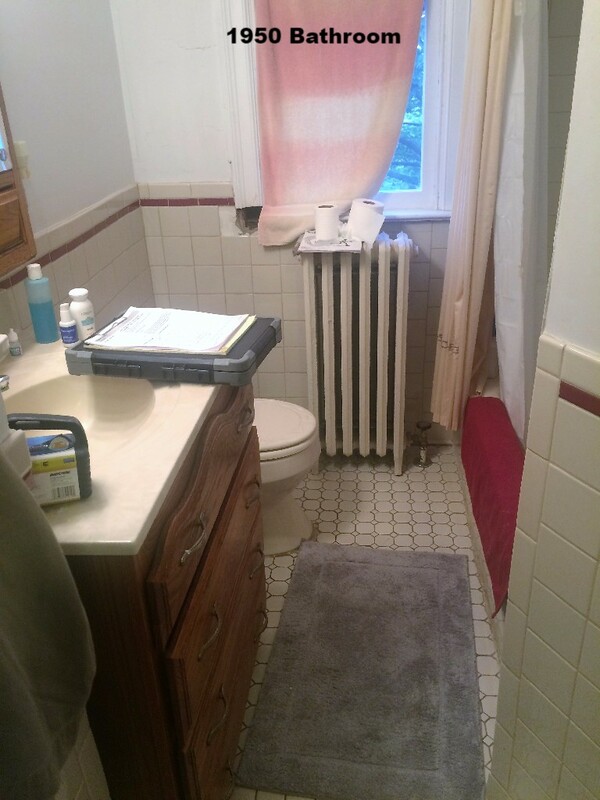 And he coordinated the work of plumbers from Blake and Wilcox Plumbing who did a great job installing two new radiators and making substantial changes to the plumbing. Said and the Inex crew showed up on time each day, covered the floors with tarps, and cleaned up at the end of each day. We were amazed that they were able to gut the 2 rooms, remove the tile, bath tub and cement floor, and then build the new bathrooms without making a mess. The bathrooms turned out better than we could have imagined. And, half way through the project, they cheerfully permitted us to add an additional item to the scope of work – installation of a tile backsplash in the kitchen. Some tips we learned when ordering tile, plumbing fixtures and radiators: pay attention to return policies (some “special orders” can’t be returned); save shipping boxes (some items must be returned in the original boxes); get more tile than you think you need if you choose a pattern that has to be shipped; build in extra time if you order something that will take weeks for delivery. Bottom line -- we enjoyed working with Chuck, Said, Alberto and Miguel and recommend Inex without hesitation.